Haven’t you heard? The industrial look is in. With Aurora, you’ll get the signature powder coated black metal look along with an iridescent top to give it that ultra-modern, on-trend vibes. 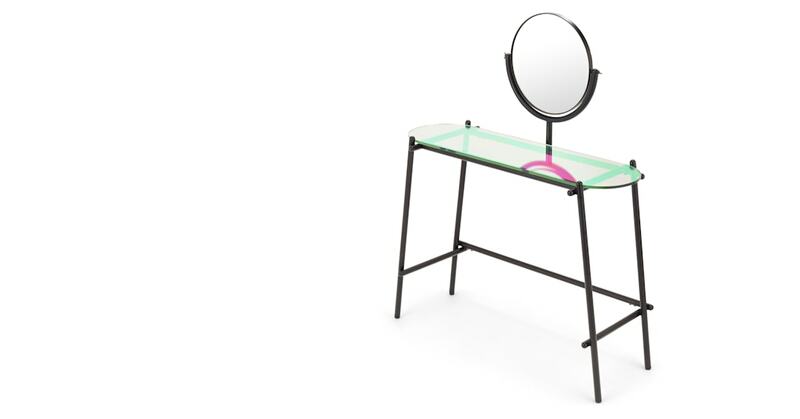 The Aurora dressing table is sleek and lean. With a smooth, minimal frame and a curved glass top, this slim fit dressing table will glam up even the smallest of bedrooms. Aurora has a large mirror which can pivot to your needs, so you can save the table top for all your essentials.